The Sword of the Dales is a long sword +3 made of silver and inlaid with gems in its pommel. It glows with a soft blue radiance. The Sword unlocks chains and manacles within 30 feet if the wielder speaks the word "merrydale". The Sword grants the wielder the ability to breathe water (as the spell water breathing) once per day. The blades most prominent ability is to inflict extra damage on all magically transformed and magically created creatures (bane). This includes golems and other magical constructs but not summoned or conjured creatures such as elementals. In addition to the above powers, the weapon also reflects all polymorph and lightning-based attacks back at their caster. 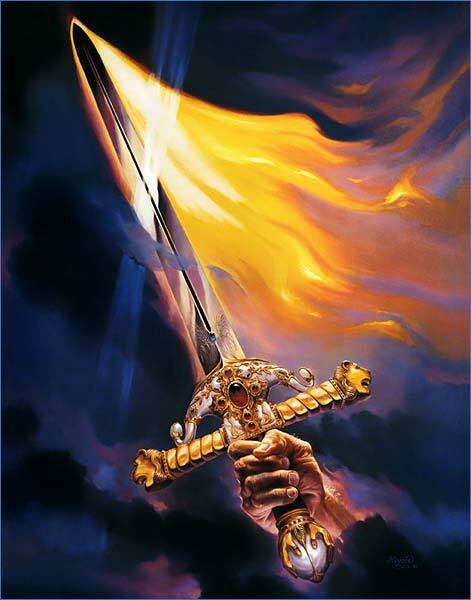 The Sword of the Dales is considered to be a regional icona weapon of power to save the Dales from the forces of evil. Most collectors are not interested in the weapon because it draws too many visitors seeking a glimpse of it.